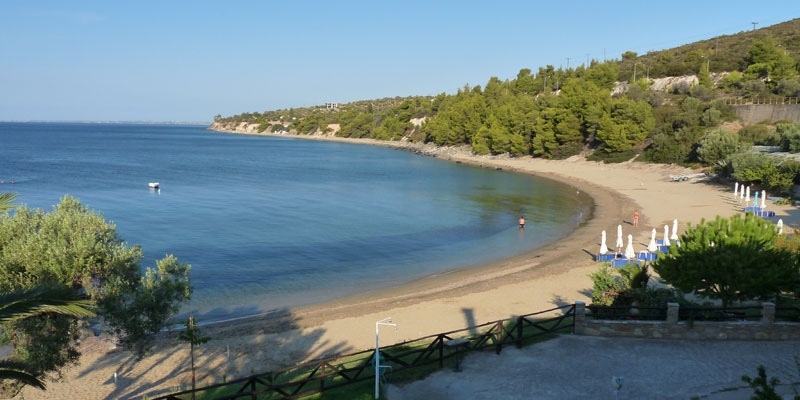 Fischer’s beach is a beautiful bay just as you enter Psakoudia from the west. This is the prettiest beach in the Psakoudia area used by a few apartments that are located behind the beach. Fischer’s beach in not developed except for a few sun-beds and umbrellas that the apartments provide for their guests. 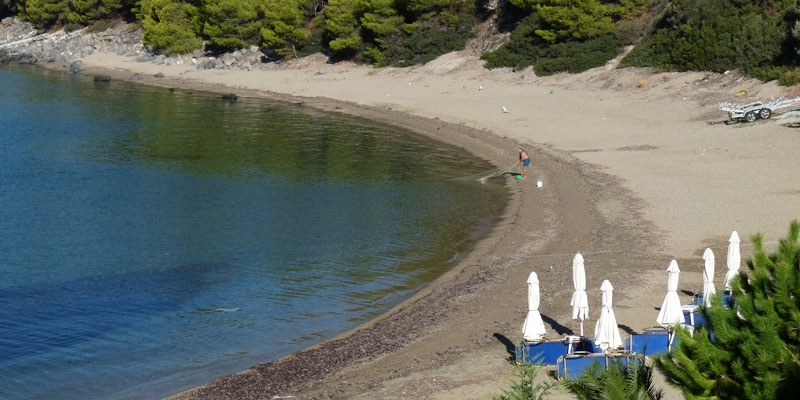 Other than that there are not any beach bars or restaurants on the beach, but there are some a couple hundred meters away towards Psakoudia. The beach is sandy and the water is very shallow. The sea-bottom is also sand so you will not need swimming shoes. The water is very calm as it’s protected by the mountain. This is an exceptional place to come for swimming or snorkeling and you will not be afraid to let your children play. Sandy beach and calm clear water perfect for swimming. No crowds. The prettiest beach in Psakoudia area. No development with beach bars. Sun-beds and umbrellas are for guests of the apartments. Driving from Thessaloniki you enter Psakoudia from the west. 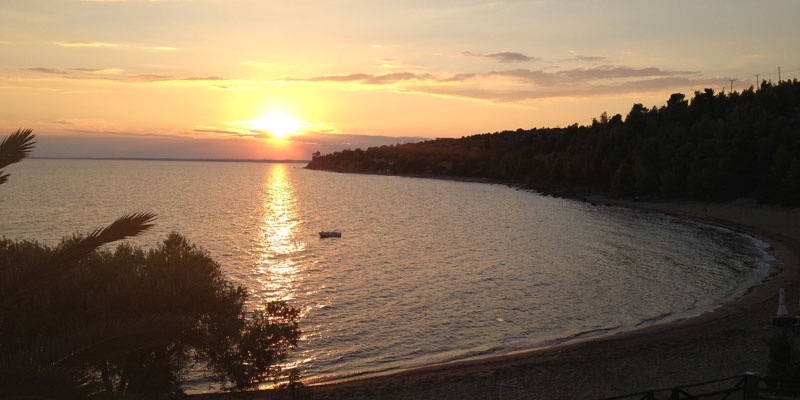 Fischer’s Beach is the first beach you will see on your right side. 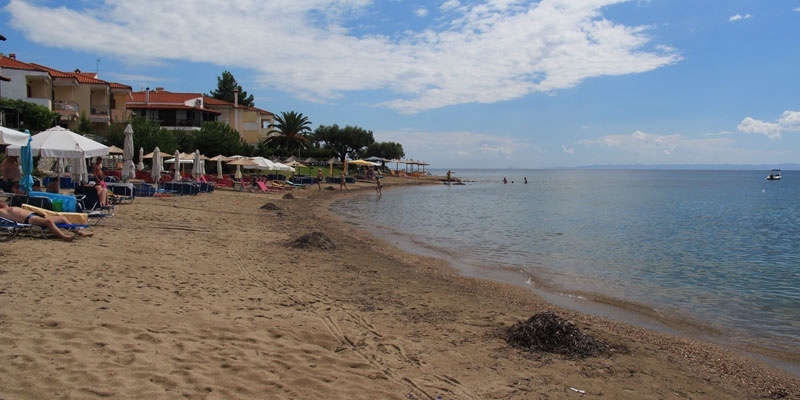 To access the beach you will need to walk in from the main beach or around the apartments that line this beach. A must if you are in Psakoudia. Come here in the morning for direct sun.